1 Corinthians 1:10 "Now I exhort you, brethren, by the name of our Lord Jesus Christ, that you all agree and that there be no divisions among you, but that you be made complete in the same mind and in the same judgment." Yesterday we began considering a strategy for addressing debilitating problems in American churches. I'll admit that in some ways I am painting with a very broad-brush. 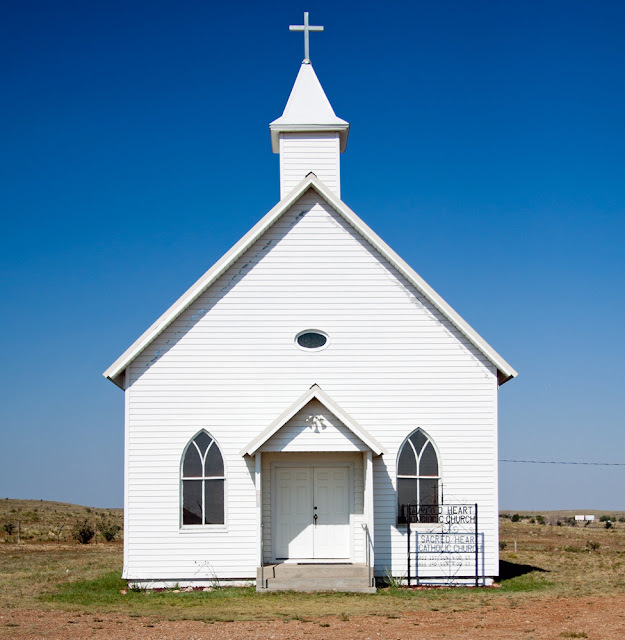 Perhaps readers of this post are dealing with context specific issues in their own church. If any readers out there are pastors, perhaps the principles being unpacked in this short series will prove helpful. Eitherway, we noted yesterday that when addressing debiliating problems in American churches (or any church in any country for that matter); we must begin with the positive work of God. God is still working in churches - even troubled ones. Unless the church and its leadership have uniformly turned away the Spirit's calling for them to conform to the will of the Father, there is always hope. We must recognize that the Lord Jesus Christ is King over His church. The Corinthian churches had many positive things still occuring in its midst. Despite the liabilities - Paul wanted to first highlight the positive workings of God in 1 Corinthians 1:1-9. With those positives outlined, we now move to the second part: the problems needing to be addressed. Paul writes in 1 Corinthians 1:11-13 "For I have been informed concerning you, my brethren, by Chloe’s people, that there are quarrels among you. 12 Now I mean this, that each one of you is saying, “I am of Paul,” and “I of Apollos,” and “I of Cephas,” and “I of Christ.” 13 Has Christ been divided? Paul was not crucified for you, was he? Or were you baptized in the name of Paul?" Each of the people had been influence by one gifted teacher or another. Undoubtedly we certainly must respect those who bring to us God's word (1 Thessalonians 5:12-13; Hebrews 13:7,17). The problem that the Corinthians had was they focused on the messengers, rather than the Master who sent the messengers. The attitude of competitiveness had entered into the fray. Some felt themselves superior because they had been baptized or sat under Peter's ministry (i.e Cephas). Others had been influenced by the mighty Bible teacher Apollos and still others held their allegiance to Paul. The fellowship was fractured at Corinth, debilitating its effectiveness and causing it to squander its God-given potential. Paul was very specific in his addressing of problems. In our American churches, we too often sweep problems under the rug. Leadership oftentimes lacks the courage needed to lead people through a time of working through issues that come about through the collective sin of people. Despite ample scriptures that detail how Christ's church ought to address its problems, churches today tend to rely on their own methods. Jesus gave the first command to the church in Matthew 18 by reminding God's people of the need to care for one another, keep each other accountable and rescue one another from the perils of sin (Matthew 18:1-14). Jesus then lays out a simple step by step strategy: one-on-one (18:15); followed by a group helping the person to see their issue (18:16) and if refused, telling it to the church (18:17). Many churches shy away from such instructions, failing to see how such a process could benefit fellow believers. However, such a process is designed not to destroy Christians and thrust them out of the fold, but to beg them to be restored so as to reconnect them to the fold. Churches today preach about the Great Command in Matthew 22:37-39 about the need to love one another and the Great Commission of Matthew 28:18-20 concerning the need to evangelize the nations. However, lest we heed Jesus' Great concern in Matthew 18 - namely unity and holiness with the church walls - we will never be effective in our love nor evangelism. In Matthew 18:18-20 Jesus details the results that occur when Christians are unified. The agenda of Heaven and the activities here on earth are brought into allignment. Prayer is powerful. When we are made alert to our weaknesses, short-comings and problems, it can be unsettling. Yet such a process is needful if the church in America is to move forward and go from God-given potentiality to God-ordained actuality. Corinth was immersed in a pagan culture that was saturated with moral and spiritual darkness. God was calling the church to heed the call to unity and to address its problems. Likewise the American church of the 21st century is in a culture that is more pagan and no-longer Christian. Everyone in every church is responsible to one degree or another for the overall spiritual atmosphere at any given church. It truly takes pastors, leaders and people in the pew all working together in humble submission to Jesus Christ to accomplish the mission of the local church. Unless the Spirit of God is empowering every Christian and every church - all will be in vain. Once problems are addressed, repentance must occur. As 2 Chronicles 7:14 reminds us: "if my people who are called by my name will humble themselves, and pray, and seek my face, and turn from their wicked ways, then will I hear from Heaven, then will I forgive their sins and then will I heal their land." God has given us an abundant and robust method for addressing problems in our churches. When we heed what He says in His word - we will then get back on track with God.